With the opening of the La Concha Visitors’ Center, the Neon Museum in Las Vegas, Nevada now features event space available to rent for private parties, corporate functions and other special occasions. The distinctive shell-shaped building was designed by acclaimed architect Paul Revere Williams and originally constructed in 1961 on Las Vegas Boulevard South, next to the Riviera Hotel. 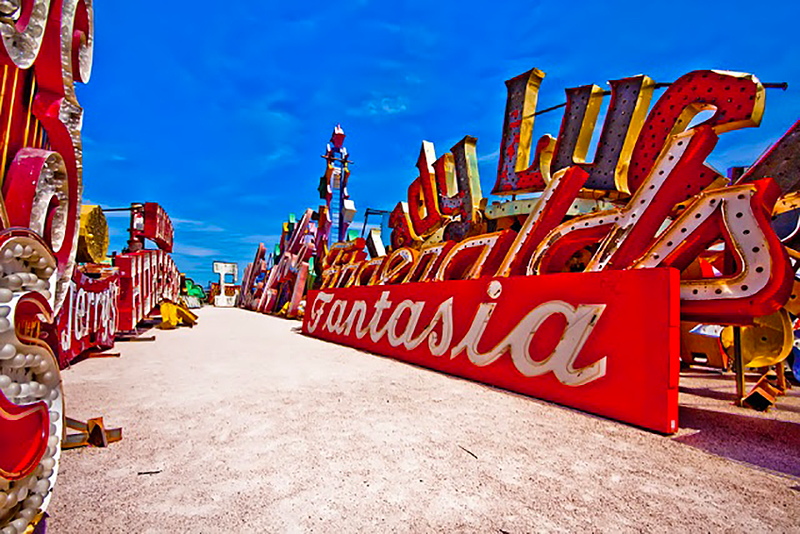 The La Concha lobby was saved from demolition in 2005 and moved in 2006 to its current location to serve as the Neon Museum’s Visitors’ Center. The newly refurbished facility showcases two of the motel’s original signs – the mosaic lobby sign and a section of the main roadside sign – restored and illuminated as part of the museum’s rehabilitation efforts. A new 3,500 square foot outdoor event space located adjacent to the Neon Boneyard offers versatility as well as a striking visual background for events and functions, while the smaller, 2,500 square foot Neon Boneyard Park and the 600 square foot La Concha Visitor’s Center offer convenient alternative locations for smaller parties.